BBGear A08 Wired Earphone, which adopts unique design for comfortable wearing, comes with great sound quality and noise cancelling. BBGear A08 Wired Earphone is the best workout sweatproof in ear buds. Great for running, jogging, hiking, biking with 3.5mm jack for iPhone, iPad, iPod, Samsung, Android Cellphone and talets. 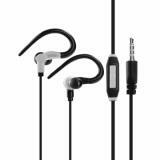 • Best workout sweatproof in ear buds. 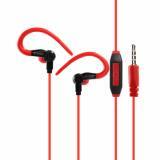 Great for running, jogging, hiking, biking with 3.5mm jack for iPhone, iPad, iPod, Samsung, Android Cellphone and talets. • Unique design for sports, and lightweight earphone which you'll feel nothing uncomfortable after all-day use. 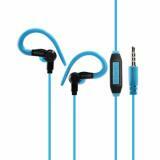 • Great sound quality and noise cancelling earphones, true stereo sound, exports high-fidelity sound quality. 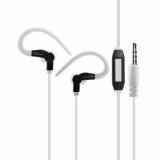 • Quick link: QY7S Waterproof Bluetooth Earphone. Range was much better than anticipated... as far as 579 feet! See video on YouTube (ECM-HW2 lilipuha). Quality excellent. I use this to record cello in lessons and concerts. Does a fine job in 5.1 mode. Wind sock REALLY works... and hides that bright blue light without diminishing essential sound quality. I highly recommend these earphones. They are a good pair and good quality at a great price. Excellent sound. You can easily take calls while wearing these. These headphones sound good, work great, they fit good. Great quality, very comfortable. I enjoy using my new earphones. Can't believe I get this earphone in seven days with free shipping. Great! The earphone is comfortable and enjoyable. Would consider buying one next time. Terrific wired headset, has a really nice, full sound! Also they are comfortable and fit wonderfully within my ear. Definitely recommended.